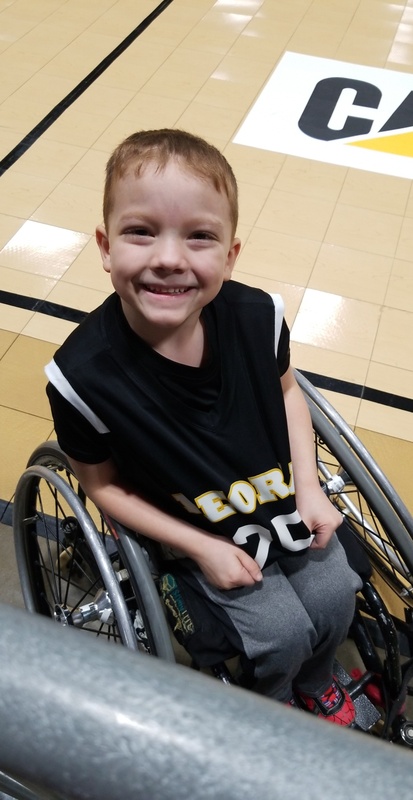 When Olivia Williams told her real estate agent she was looking for a house with wheelchair access for her son Brantley, she found more than a home — she found a “fantastic” coach. Over the March 8 weekend Brantley, 7, played basketball with the Wildcats in the IHSA Wheelchair Basketball state finals against teams from Chicago and Rockford. Last year, the Wildcats won the championship. This year, they did not, but were still competitive. Peoria Wildcats players range in age from 5-21, and many of this year’s players aren’t yet in high school. Maia Webb is a fifth-grader from Morton. Brothers James and David Maughan attend Peoria grade schools, and Wyatt Howe is a Brimfield seventh-grader. The opportunity to play, Van Cleve said, and the skills the athletes gain from sports is far more important than a trophy or a title. He would know. Though it may not be obvious, the Wildcats coach has a mild form of cerebral palsy. An Achilles tendon release, and a similar procedure, Achilles tendon lengthening, can help a person to walk flat-footed. Before the fall, Van Cleve’s parents were told he would never walk. Though Van Cleve’s disability was diminished, it didn’t squash his desire to maintain a lifelong involvement in the special needs community. After graduating from the University of Illinois with a degree in architecture, he moved on to coaching. While coaching, he met his future wife. Katie Hogan Van Cleve is the executive director of the Heart of Illinois Special Recreation Association. The two met while he was a coach in Chicago, and, after a long-distance romance, they wed and he made the move to Peoria. 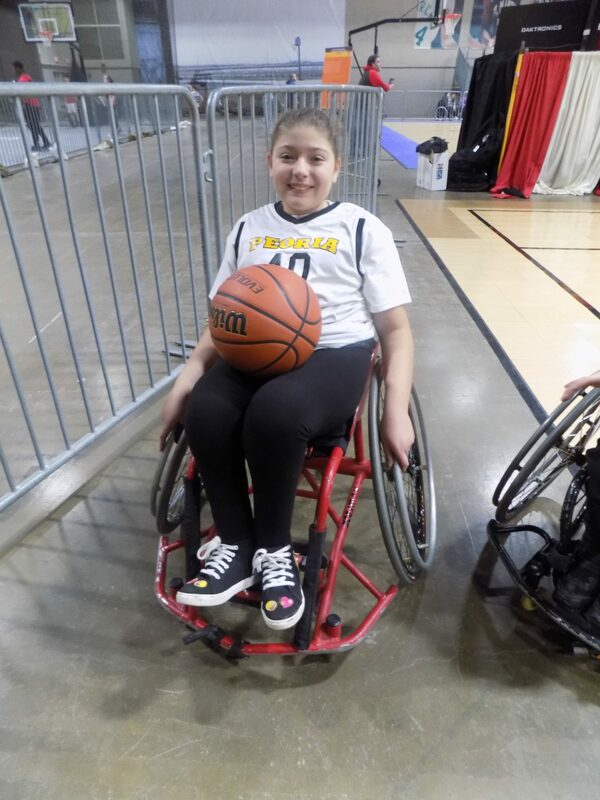 Together, the Van Cleves coach, mentor, transport and train disabled athletes with the goal of creating leaders with skills that help them excel throughout their lives. Van Cleve, who played wheelchair basketball in college, passes on to his athletes a universal rule in sports; be adaptable. When he says, “pick yourself up”, he means it literally. 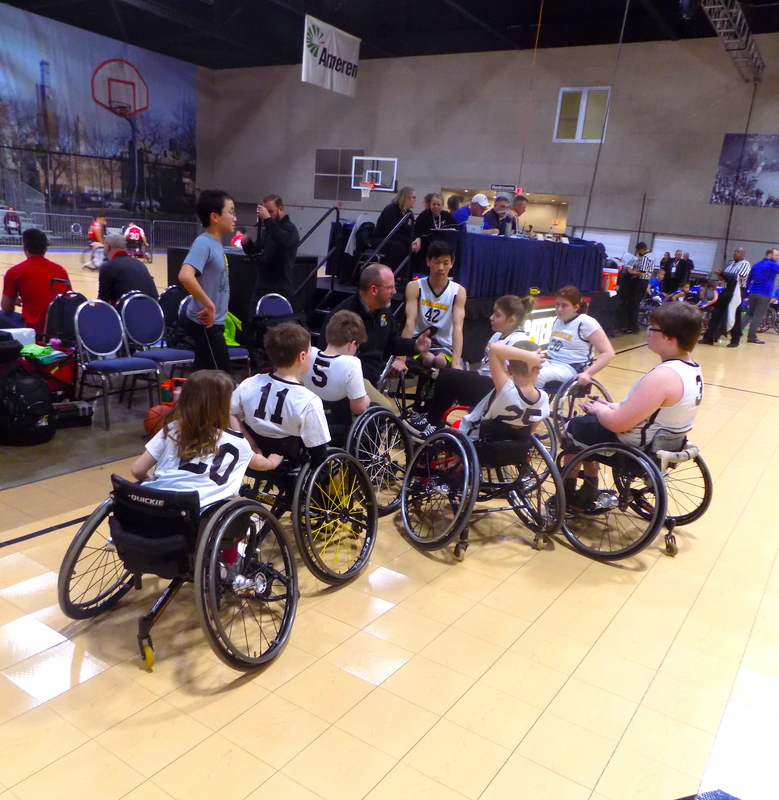 Wheelchair athletes get rough with each other, and it’s not uncommon for player to get knocked over, sometimes numerous times during a game. It’s common, however, for families to view a disabled child as fragile, and to subsequently shelter them from activities they think might do harm. On the contrary, Van Cleve doesn’t think there’s such a thing as “too young”. Sharks and Minnows, he said, is a favorite game that teaches kids hand-eye-coordination and strategic thinking. One player, the “shark” waits at center court to tag players as they race from one end of the court to the other. The game ends when the last “minnow” is tagged. 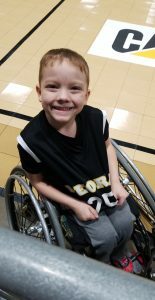 Brantley was born with spina bifida, and recently underwent his 16th surgery. 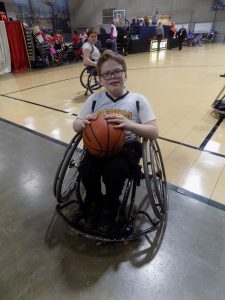 But that doesn’t hold him back from playing basketball or sled hockey, and his mother is all-in when it comes to her son playing sports. The Peoria Wildcats maintain an inventory of custom sports wheelchairs and other specialty sports equipment that would otherwise be too expensive for most families to afford. To learn more about participation and volunteer opportunities with HISRA, visit www.hisra.org.